Peebles RFC 1sts – Peebles RFC – sponsored by Stobo Health Spa – are back at home on Saturday 30th March when high-flying and already promoted Biggar are the visitors to the Gytes for a Tennent’s National League 2 fixture. No doubt the visitors will be coming looking for revenge for the earlier defeat at Hartree Mill – their only league defeat this season thus far - and the expectation is that this will be an equally tight and physical match; as always in these encounters there will be plenty of sideline banter among the supporters and any number of discussion points later in the clubrooms over a pint or two. Kick off is at 3:00pm. 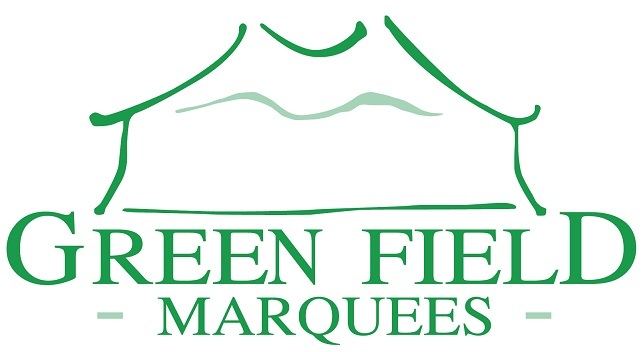 This match is sponsored by the Peebles RFC Jerseystretchers, Kingsmuir Construction (Scott Watson) and Stuart Wright Scanning Services; the match ball is sponsored by Merritt Window Cleaning. The mobile bar will also be on site at the dressing room end of the ground. Last week Peebles RFC travelled west to Glasgow for a Tennent’s National League 2 fixture at Whitecraigs – returning home with a good 32 – 20 win, including a try bonus point. This will have no doubt pleased the coaching team with the prospect of the big match tomorrow. Meal Deal – Next Saturday April 6th there is an open pre-match lunch before the match with Highland – 2 courses plus a drink £15 – 12:30 for 1:00pm. Contact Jim Currie on 07742 919694 or Andrew Shortreed on 07772834483 or the clubrooms on 01721 720494 to book. Peebles Reds – On Saturday 30th March Peebles Reds – sponsored by The Crown Hotel Peebles – travel into Edinburgh to play Edinburgh Accies Blues in a Tennent’s Reserve League East 2 fixture. With both teams neck and neck in the race at the top of the table this is expected to be a tough assignment for the Reds who will hope to maintain their rich vein of form which sees them unbeaten in the league thus far. Kick off at 3:00pm for travelling fans. Last week Peebles Reds' fixture with Corstorphine Cougars was called off when the opposition were unable to raise a side. Colts – Tomorrow Peebles Colts travel down to the Volunteer Park in Hawick where they will face Kelso ‘Quins in the Borders Semi-Junior League Plate final. Kick off is at 1:30pm for travelling Colts fans. In the past we've had some tremendous games against Kelso so it would be great if as many as possible could along and support the Wee Pees. The team bus will be leaving the Eastgate carpark 11:00 and there should be spare seats if anyone fancies travelling to Hawick in style. If any of these arrangements have to be changed they will be updated on the Club web page & Social Media. Last Saturday the Colts hosted Selkirk Youth Club at the Gytes in the Borders Semi-Junior League Plate semi-final winning 24 – 13 to go forward to tomorrow’s final. Under 16 Sevens – Tonight an under 16 sevens squad will be taking part in the Jed under 16 sevens at Riverside Park – first tie kicks off at 6:00pm and Peebles are on in the third tie at 6:34 against Jed. South Schools Sevens – Last Friday afternoon the South Schools Sevens took place at Netherdale. PHS S1 - Winners - Defeated Hawick HS, Jedburgh GS and Berwickshire Schools in pool then Galashiels Academy in final. PHS S2 - Runners Up - Defeated Earlston HS, Kelso HS and Jedburgh GS in pool matches, and lost to Galashiels Academy in final. PHS Under 15’s - Runners Up - Defeated Earlston HS, Selkirk HS and Jedburgh GS in pool matches, and lost to Hawick HS in final. Piranhas News -The Piranhas played at Kelso on Sunday, and we hear good things about their performances through the grapevine. Piranhas have won their fair share of baubles over the years. Waiting a long time to get your hands on the trophy does not normally mean an extended awards ceremony though. Patience is a virtue... . Speaking of awards ceremonies, a reminder that it’s the One Club awards night on 20th April. Piranhas will be represented and sure it will be a grand night. Contact the club for tickets. School holidays start this weekend so many Piranhas training groups will be taking a pause. But P6 will be training at Hay Lodge for sure. Look out for emails from coaches with details of any training, the Langholm tournament on the 7th, and the Piranhas One Club event on 14th. Kit offer to come out shortly too. Race Night – Tonight Friday March 29th the Eastgate Clubrooms is the venue for a fundraising race night by Richard Edge who is running the London Marathon for SIMBA. Tickets are £5 and can be had from Richard or Stuart Macdonald who can be contacted via facebook.